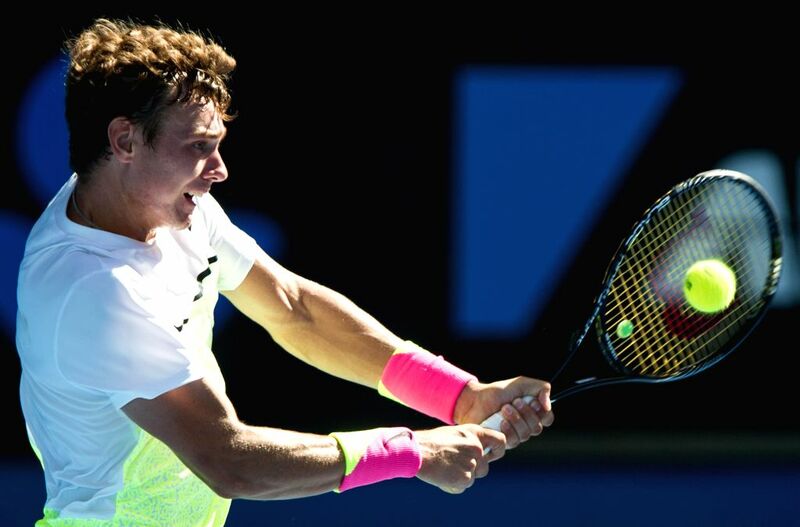 MELBOURNE, Jan. 31, 2015 - Roman Safiullin of Russia returns the ball during the Junior Boys' Singles final match against Seong-chan Hong of South Korea at the 2015 Australian Open tennis tournament at Melbourne Park in Melbourne, Australia, Jan. 31, 2015. Safiullin won 2-0. 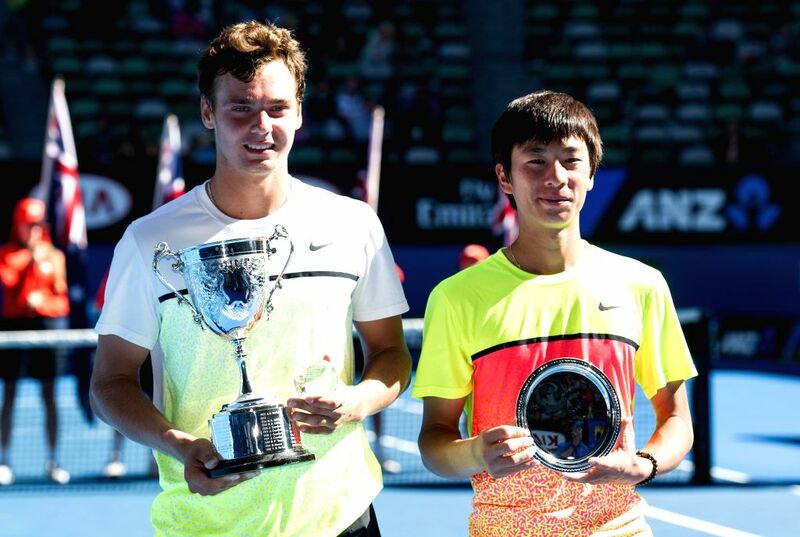 Roman Safiullin (L) of Russia and Seong-chan Hong of South Korea pose with their trophies after winning the Junior Boys' Singles final match at the 2015 Australian Open tennis tournament at Melbourne Park in Melbourne, Australia, Jan. 31, 2015. Safiullin won 2-0.